Arthur Pambegan, Jr Min wuk [flying fox sculpture]. Image has been cropped. Courtesy of the artist. Action and Consequence brings together works from the Campbelltown Arts Centre permanent collection to reflect on lores, laws and legislation regarding cultural material, care and control orders, copyright permissions and ancestral law. 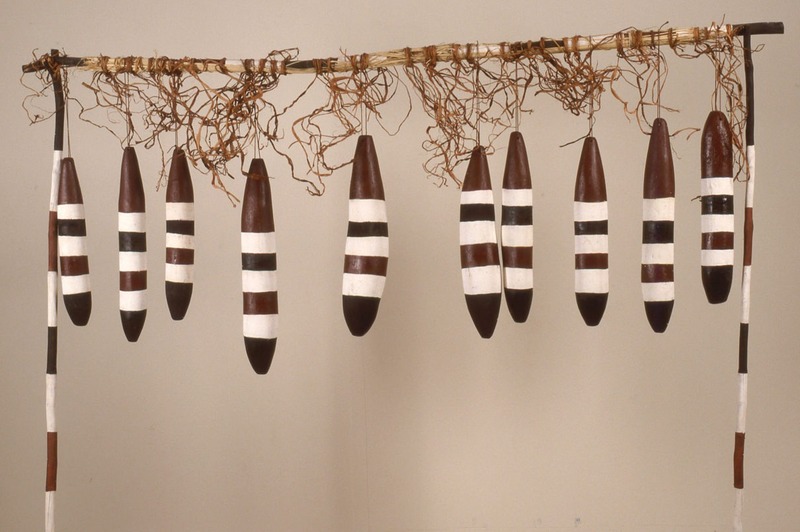 Curated in collaboration with special guest Aunty Glenda Chalker, local Dharawal elder.